Nothing and everything has been happening lately, so for ease of reading (and writing), I’m totally going list style. I also fully admit that Crazy Aunt Purl gave me the idea. Thanks Laurie! 1. Today at work the “Office Manager” hired a receptionist. (Yes, I did mean to put those quotes around office manager. That story is for another day, though.) I do not have high hopes this hire is going to create a better atmosphere. The thing that stuck out is that the new receptionist is a giggler. I could hear her all the way down the hall! Giggle. Giggle. First off, this is a professional office. Second, who giggles at an interview? I understand if the interviewer makes a joke, you laugh politely. You do not giggle. Why, oh why, would you hire a giggler to work as a receptionist? I was talking to one of my bosses. He is not too fond of her in this position either. He got the impression that this girl was looking for an easy job and that we probably are not going to get much from her. He is probably right. She is a college student. College students are not known to be the most reliable nor the most diligent employee. Sigh. This does not look good. I think I’m going to have to up my dosage of St. Johns Wort. 2. I am being tested. I know I need to learn patience. I know this. I also know that I have gotten better. Shouldn’t I be rewarded for my efforts? Why, no, Heather, instead, you are going to have to deal with the most inconsiderate and simple people day after day (though it feels like minute after minute). Me: Hello, I have a bunch of yarn to return. PG: Are they all the same kind. Me: No, they are different. She, without a word, walks across the lobby and get a buggy. PG: I’m going to have to separate them. Me: Well, I have them separated so they match the receipt. Me: I don’t think you understand. They are seperated to match the receipt. She then proceeds to take the bags from my hand and dump them out into the buggy. When she comes across a receipt that had been matched with the yarn she is now dumping into the buggy, she grabs it and holds it up in my general direction without ever looking at me. She separates each skein by color and begins scanning them – slowly. PG: Do you remember what store you got these from? I cannot tell you how many times she had to count the skeins. I was praying for patience at that point. When she finally gets the tickets how she likes them, she holds them out to me without another word. Now that my yarn is in a buggy and my receipts are in my pocket, I now have to actually go to Customer Service and return them. Now, they cannot just scan all the receipts and scan all the yarn. No. They have to scan the first receipt then scan the yarn that corresponds to that receipt. This is why I separated them in the first place. The cashier and I have to separate them, AGAIN! I know I could have let her do it on her own, but by this time, I had no faith that she could get it right. Sigh. I tell you, my lot in life is to have no patience for stupid people! 3. 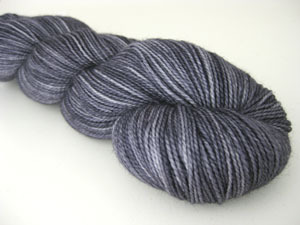 The reason I needed to return the yarn today: the WEBS 35th Anniversary sale. With the gift card from the parents, birthday money, and the cash from the return of the yarn, I was able to get a goodly amount of yarn for a very small amount of money. And yes, I do mean a small amount, not the I-spent-too-much-money-but-everything-was-on-sale-so-that-counts-as-small amount. 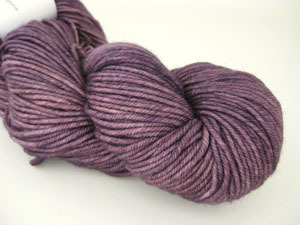 I’m talking under $100 for several sweaters worth of yarn. Yea! I cannot wait until get my package! 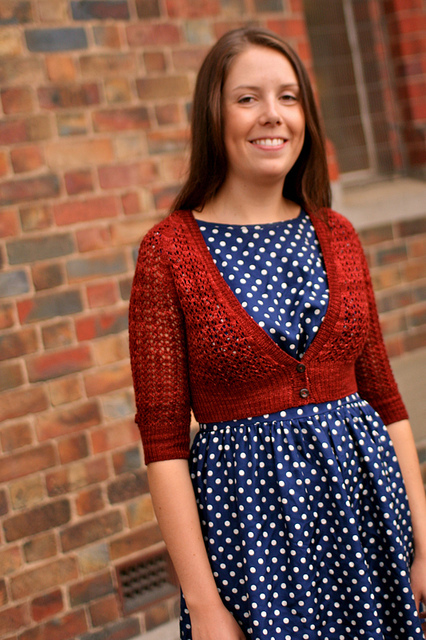 I had some Sublime Soya Cotton in my stash already, but it was not enough to make the Swiss Miss Cardigan I really, really want to make. I ordered the remaining amount today. I know the dye lots will probably be different, but I will use one batch to make the upper half and the other batch to make the lace lower portion. It will be fine. I really want to start it. 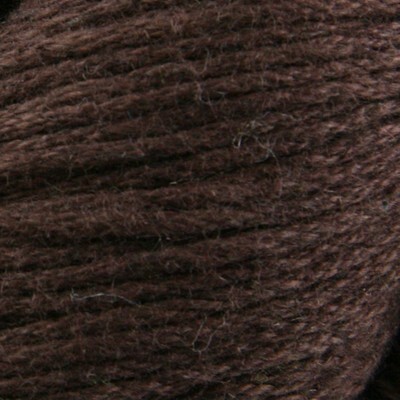 The color, nettle, is this really awesome shade of dusty green that will go with every one of my knit dresses and skirts. Yum-me! 4. I’m still working on the rib portion of the Hug-me-tight shrug. Needless to say, it is not going very fast, but the same need to always be knitting is just not there right now. Don’t get me wrong. It is coming back but very slowly. 5. I have been spending a lot of time on the Wii fit lately. You know, I want to get my Wii Fit age down to my real age. I am having a blast. I really like the step aerobics and the boxing. I have unlocked the advanced games of each and they are a pretty good workout. Now, I realize that I could get a better one at a real gym, but with a 9 year old, I really don’t have the time. Besides, it is fun and an hour goes by like a flash. I’m also doing the yoga poses. They are hard! Eventually I will attend a real yoga class, but again, I have to figure out the schedule with 2 soccer practices a week plus, more often than not, 2 games a week. It may have to wait until after soccer season. That is about as interesting as it’s been lately. Oh, tomorrow we are going to see, get this, dinosaurs! I have feeling I’m going to get a bigger kick out of it than Boy Child. We’ll see. Nothing big happened today. Leisl is coming along. I misread the directions when seperating for the sleeves which lead to 2 1/2 hours of counting, knitting, counting, frogging and counting more. It’s all worked out now, and I’m knitting right along. So, because my life is boring, I will direct you to other blog posts that for today are more interesting than mine. This is why I won’t be buying Vogue Sewing any time soon. I’ve never heard of crochet button loops (scroll down), but I have a feeling this will come in handy. I’m always forgetting to make button holes. 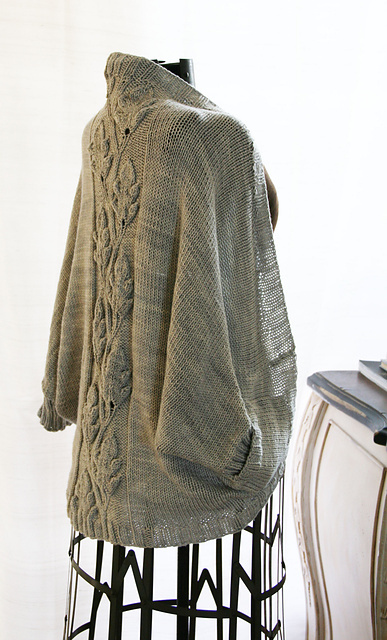 The new Knitty is up and I want to make this, this, and this. I think this will be my project over spring break. I want to make these. I am so tired of never being able to find any long enough. Problem solved. I will make my own. I found this dress today. I really have fallen in love. I think I might have to try making it my very own, sans pattern. I’m hoping to have made more progress on Liesl by tomorrow. Regardless, I will post photos.